Full name RANDALL ASHER WOJCIECHOWSKI...Married, Alanna...Attended the Citadel, The Military College of South Carolina, where he majored in Business Administration...He was teammates in 2010 with Mike Clevinger, where they won the 2010 Southern Conference Championship...Was the first player from The Citadel to be taken in the first round of the MLB draft...Also shares a birthday with Clevinger...Was a compensation pick for Toronto losing Rod Barajas...Named the Southern Conference Pitcher of the Year during his junior year in 2010 after finishing second in the nation with 155 strikeouts and ranking fifth in the country with 12 victories (tying a school record)...Lived in the Dominican Republic, Bulgaria and Romania as a child as his parents, Randy and Carol, were missionaries...Asher was nine years old when the family moved to Romania, and he was able to play baseball in Bucharest when Little League Baseball expanded into the country...Graduated from Beaufort High School (SC). Split the season at the Triple-A levels between the Baltimore and Chicago White Sox organizations...On the year limited batters to a .240 average against (108-for-450), including a .203 (51-for-251) mark by right-handed hitters...Fanned 126 batters in 119.1 innings, including 12 in 7.0 innings on July 6 at Durham (w/Norfolk)...Granted release from Baltimore on July 18 and signed with the White Sox a week later, losing five of his six starts in AAA Charlotte while dealing with blister issues on his right long finger...On the year in relief his ERA was 3.60 (6ER/15.0IP/19SO, .170 avg). Registered back-to-back season-high seven strikeout starts with Louisville, on 4/28 at Rochester (ND, 5.2 IP, 1 H, 1 BB) and 5/3 vs. Columbus (ND, 4.0 IP, 2 H, 1 ER, 3 BB) ... Made his debut with Cincinnati on 5/20 vs. COL, earning the win after tossing 3.2 innings out of the bullpen, allowing one hit with three strikeouts ... Made 17 relief appearances with Cincinnati, going 2-0 with a 4.00 ERA (12 ER/27.0 IP), while going 3-2 in eight starts, with a 8.41 ERA (33 ER/35.1 IP) ... In 17 home games (eight starts) between Triple-A Louisville and Cincinnati, he went 5-2 with a 3.81 ERA (24 ER/56.2 IP) ... Held right-handed batters to a combined .237 average (45-for-190)...As a reliever, held opponents to a .206 average (20-for-97). Made five starts with Fresno before being selected off waivers by the Marlins (from the Astros) on 5/24...In his start on 4/28 vs. El Paso, he earned the win after tossing a season-high-tying 7.0 innings, allowing two runs on four hits with one hit batsman, one walk, and a season-high nine strikeouts...Made his debut in the Marlins organization on 6/19 with Double-A Jacksonville, getting the start vs. Biloxi (ND, 4.2 IP, 2 H, 1 ER, 2 HB, 1 BB, 5 K)...Made three total appearances out of the bullpen (all with Triple-A New Orleans), notching a 0.00 ERA (0 ER/5.0 IP) with four strikeouts...Struck out five-or-more batters in six starts between the three teams, recording at least one strikeout in 18 of his 20 starts. Made ﬁve appearances (3 starts) in what was his ﬁrst action in the Major Leagues...went 0-1 with a 7.16 ERA (13ER/16.1IP), with 16 strikeouts in 16.1 innings...each of his ﬁrst four appearances were exactly 4.0 innings, making him the only Major Leaguer since 1914 to go exactly 4.0 innings in each of his ﬁrst four appearances...spent most of his season with Triple A Fresno...ranked third on the team in starts (20) and fourth in innings (115.1)...the Grizzlies went 14-6 in his 20 starts...began the season on the Astros Opening Day roster, the ﬁrst of his career, as the No. 3 starter in the rotation...made two appearances (1 start) with the club before being optioned to Triple A Fresno on April 14...was recalled on April 17 to make two starts before being sent back down on April 27...was recalled on May 8, but did not make an appearance before being sent back to Fresno on May 12...was recalled once again on Aug. 5, making one relief appearance on Aug. 7...was optioned back to Fresno on Aug. 9, where he pitched through the end of the season...made six appearances (4 starts) in Spring Training, posting a strong 1.29 ERA (3ER/21.0IP) with 16 strikeouts...held opposing batters to a .213 batting average, and owned a 1.05 WHIP...his 1.29 ERA ranked ﬁfth in the Grapefruit League...made his Major League debut on April 9 vs. CLE...allowed four runs on eight hits in 4.0 innings in Houston's 5-1 loss to the Indians...became the ﬁrst Astros pitcher to make their Major League debut as a starter since RHP Nick Tropeano on Sept. 10, 2014 at SEA...was the ﬁrst to do it at home since LHP Troy Patton on Aug.25, 2007 vs. PIT...was slated to start Houston's game on April 14 vs. OAK, but was called upon for the long relief assignment the night before on April 13 in what was the ﬁrst relief appearance of his career...became the ﬁrst Astros rookie to toss 4.0 shutout innings in relief since RHP Paul Clemens on April 15, 2013 at OAK (0ER/5.1IP)...was named PCL Pitcher of the Week for the period of June 15-21...tossed a league-high 14.0 innings over two quality starts, while owning a 0.64 ERA and 0.86 WHIP in the span...the two starts extended his career-high minor league undefeated streak to 13 starts, which dated back to Aug. 15, 2014...snapped the streak on June 28 at Reno...over that span, he went 7-0 with a 2.99 ERA (27ER/81.1IP), ﬁve homers allowed,and 58 strikeouts...struck out a career-high 10 batters on July 3 at El Paso, surpassing his previous high of eight (accomplished four times since 2010)...went 1-2 with a 2.49 ERA (6ER/21.2IP), 15 strikeouts and 13 walks over his ﬁnal four starts...his lone win during that stretch came when he tossed 6.0 scoreless innings on Aug. 19 vs. Round Rock...made two postseason appearances for Fresno, combining to go 2-0 with a 1.50 ERA (2ER/12IP) and 13 strikeouts...were his ﬁrst postseason appearances since Sept. 4, 2013 while with the Oklahoma City RedHawks. Combined to go 11-8 with a 3.32 ERA (59ER/160IP) and 131 strikeouts between Triple A Oklahoma City (22g) and Double A Corpus Christi (6g) ... from Aug. 20, 2012-April 24, 2013, set a Corpus Christi franchise record by going 33.0 consecutive innings without allowing a run ... started the season with Corpus Christi by going 20.0 consecutive scoreless innings ... had more strikeouts (27) than hits and walks combined (17H/6BB) at the Double A level ... promoted to Triple A Oklahoma City on May 2 ... 13 of his 21 total starts at Triple A were quality starts ... ranked tied for first in the Triple A Pacific Coast League in complete games (2) and shutouts (1), and ranked third in WHIP (1.19) ... tossed the first two complete games of his career, both coming at OKC ... picked up his first career CG after going 8.0 innings and allowing three runs on six hits with seven punchouts on June 21 ... spun a complete game (9.0 IP), one-hit shutout on July 8 at Round Rock ... at OKC, pitched well at his home field, the notoriously hitter-friendly Chickasaw Bricktown Ballpark ... went 7-1 with a 2.56 ERA (20ER/70.1IP) in 12 starts at the venue ... entered the year ranked by Baseball America as the No. 14 prospect in the Astros system ... 2012: Made 26 combined starts between Double A Corpus Christi (8g) and Class A Advanced Dunedin (18g) ... went 9-5 with a 3.09 ERA (47ER/137IP) and 110 punchouts between the clubs ... named the Florida State League Pitcher of the Week for the week of May 22-29 ... prior to joining the Astros organization, went 5-1 with a 1.51 ERA and 34 strikeouts over his last seven starts with Dunedin ... in his Double A debut on July 24 at San Antonio, earned the victory by tossing 7.0 innings of one-run ball ... closed out the year by tossing 13.2 consecutive scoreless innings at Corpus Christi ... during his time with the Hooks, ranked second in the Texas League in ERA (2.06), WHIP (1.01) and opponent's batting average (.190) ... entered the season ranked by Baseball America as the No. 10 prospect in the Blue Jays system ... acquired by the Astros in a 10-player deal with the Blue Jays on July 20 ... 2011: In his first full professional season, pitched in 25 games at Class A Advanced Dunedin ... skipped the Low Class A level entirely ... began the year ranked by Baseball America as the Blue Jays No. 7 prospect ... 2010: Allowed just one run in 12.0 innings (0.75 ERA) over three starts at Class A Short Season Auburn after getting drafted by the Blue Jays in the supplemental first round of the June draft. Made 26 combined starts between Double A Corpus Christi (8g) and Class A Advanced Dunedin (18g) ... went 9-5 with a 3.09 ERA (47ER/137IP) and 110 punchouts between the clubs...named the Florida State League Pitcher of the Week for the week of May 22-29 ... prior to joining the Astros organization, went 5-1 with a 1.51 ERA and 34 strikeouts over his last seven starts with Dunedin...in his Double A debut on July 24 at San Antonio, earned the victory by tossing 7.0 innings of one-run ball... closed out the year by tossing 13.2 consecutive scoreless innings at Corpus Christi...during his time with the Hooks, ranked second in the Texas League in ERA (2.06), WHIP (1.01) and opponent's batting average (.190)...entered the season ranked by Baseball America as the No. 10 prospect in the Blue Jays system... acquired by the Astros in a 10-player deal with the Blue Jays on July 20. In his first full professional season, pitched in 25 games at Class A Advanced Dunedin...skipped the Low Class A level entirely...began the year ranked by Baseball America as the Blue Jays No. 7 prospect. Allowed just one run in 12.0 innings (0.75 ERA) over three starts at Class A Short Season Auburn after getting drafted by the Blue Jays in the supplemental first round of the June draft. February 14, 2019 Cleveland Indians signed free agent RHP Asher Wojciechowski to a minor league contract and invited him to spring training. 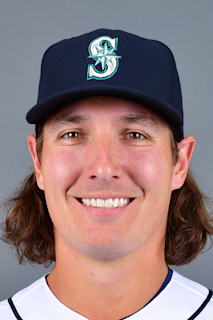 February 14, 2019 RHP Asher Wojciechowski assigned to Columbus Clippers. November 2, 2018 RHP Asher Wojciechowski elected free agency. September 10, 2018 Charlotte Knights activated RHP Asher Wojciechowski from the 7-day disabled list. August 30, 2018 Charlotte Knights placed RHP Asher Wojciechowski on the 7-day disabled list. July 25, 2018 Chicago White Sox signed free agent RHP Asher Wojciechowski to a minor league contract. July 25, 2018 RHP Asher Wojciechowski assigned to Charlotte Knights. July 18, 2018 Norfolk Tides released RHP Asher Wojciechowski. April 6, 2018 RHP Asher Wojciechowski assigned to Norfolk Tides. December 1, 2017 Baltimore Orioles signed free agent RHP Asher Wojciechowski to a minor league contract and invited him to spring training. October 9, 2017 RHP Asher Wojciechowski elected free agency. October 6, 2017 RHP Asher Wojciechowski elected free agency. October 4, 2017 Cincinnati Reds sent RHP Asher Wojciechowski outright to Louisville Bats. July 2, 2017 Cincinnati Reds selected the contract of RHP Asher Wojciechowski from Louisville Bats. June 20, 2017 Cincinnati Reds sent RHP Asher Wojciechowski outright to Louisville Bats. June 18, 2017 Cincinnati Reds designated RHP Asher Wojciechowski for assignment. May 20, 2017 Cincinnati Reds selected the contract of RHP Asher Wojciechowski from Louisville Bats. May 16, 2017 RHP Asher Wojciechowski assigned to Louisville Bats from Billings Mustangs. May 11, 2017 RHP Asher Wojciechowski assigned to Billings Mustangs from Louisville Bats. April 20, 2017 Cincinnati Reds signed free agent RHP Asher Wojciechowski to a minor league contract. April 20, 2017 RHP Asher Wojciechowski assigned to Louisville Bats. February 25, 2017 RHP Asher Wojciechowski assigned to Arizona Diamondbacks. December 19, 2016 RHP Asher Wojciechowski assigned to Reno Aces. December 12, 2016 Arizona Diamondbacks signed free agent RHP Asher Wojciechowski to a minor league contract. November 7, 2016 RHP Asher Wojciechowski elected free agency. July 19, 2016 Miami Marlins sent RHP Asher Wojciechowski outright to New Orleans Zephyrs. July 16, 2016 Miami Marlins designated RHP Asher Wojciechowski for assignment. June 29, 2016 RHP Asher Wojciechowski assigned to New Orleans Zephyrs from Jacksonville Suns. June 18, 2016 RHP Asher Wojciechowski assigned to Jacksonville Suns from Jupiter Hammerheads. June 3, 2016 Jupiter Hammerheads placed RHP Asher Wojciechowski on the 7-day disabled list retroactive to June 1, 2016. May 24, 2016 Miami Marlins claimed RHP Asher Wojciechowski off waivers from Houston Astros. May 24, 2016 Miami Marlins optioned RHP Asher Wojciechowski to Jupiter Hammerheads. May 17, 2016 Houston Astros designated RHP Asher Wojciechowski for assignment. May 9, 2016 Fresno Grizzlies placed RHP Asher Wojciechowski on the 7-day disabled list retroactive to May 6, 2016. March 20, 2016 Houston Astros optioned RHP Asher Wojciechowski to Fresno Grizzlies. October 15, 2015 Asher Wojciechowski roster status changed by Houston Astros. October 5, 2015 Houston Astros recalled RHP Asher Wojciechowski from Fresno Grizzlies. August 9, 2015 Houston Astros optioned RHP Asher Wojciechowski to Fresno Grizzlies. August 5, 2015 Houston Astros recalled Asher Wojciechowski from Fresno Grizzlies. May 12, 2015 Houston Astros optioned RHP Asher Wojciechowski to Fresno Grizzlies. May 8, 2015 Houston Astros recalled Asher Wojciechowski from Fresno Grizzlies. April 27, 2015 Houston Astros optioned RHP Asher Wojciechowski to Fresno Grizzlies. April 17, 2015 Houston Astros recalled Asher Wojciechowski from Fresno Grizzlies. April 14, 2015 Houston Astros optioned RHP Asher Wojciechowski to Fresno Grizzlies. October 16, 2014 RHP Asher Wojciechowski assigned to Tigres del Licey. June 25, 2014 Houston Astros optioned Asher Wojciechowski to Oklahoma City RedHawks. June 18, 2014 Houston Astros sent RHP Asher Wojciechowski on a rehab assignment to Oklahoma City RedHawks. May 20, 2014 Houston Astros sent RHP Asher Wojciechowski on a rehab assignment to Oklahoma City RedHawks. March 29, 2014 Asher Wojciechowski roster status changed by Houston Astros. November 21, 2013 Houston Astros selected the contract of RHP Asher Wojciechowski from Oklahoma City RedHawks. May 2, 2013 Asher Wojciechowski assigned to Oklahoma City RedHawks from Corpus Christi Hooks. March 4, 2013 RHP Asher Wojciechowski assigned to Houston Astros. August 5, 2011 Asher Wojciechowski roster status changed by Dunedin Blue Jays. July 25, 2011 Dunedin Blue Jays placed RHP Asher Wojciechowski on the 7-day disabled list. April 6, 2011 RHP Asher Wojciechowski assigned to Dunedin Blue Jays from Bluefield Blue Jays. October 1, 2010 Asher Wojciechowski roster status changed by Auburn Doubledays. July 7, 2010 Auburn Doubledays placed RHP Asher Wojciechowski on the 7-day disabled list. June 22, 2010 RHP Asher Wojciechowski assigned to Auburn Doubledays from Toronto Blue Jays. June 16, 2010 Toronto Blue Jays signed RHP Asher Wojciechowski.